Clothlike non-breathable film, clothlike breathable laminated film. Other specification could be defined by customers, we can offer special solution to meet customers market required. 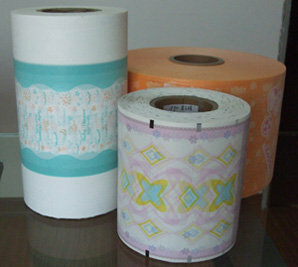 We adopt super soft SS nonwoven, high quality glue ensure good peel strength, all our printing ink are pure, environmental and without any fluorescent agent. Features: Smooth and bright surface, soft and comfortable with excellent skin-friendly.